Major food company CJ Foodville closed nine stores of its Korean buffet restaurant, Gyejeol Bapsang (Season’s Table), this year. 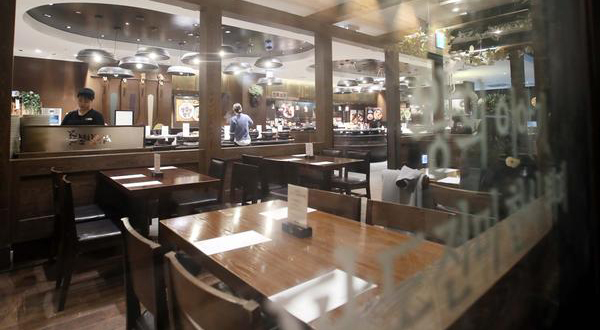 The first buffet exclusively devoted to Korean dishes created a splash when it opened in 2013. There were as many as 54 outlets at its heyday. Today, that number has shrunk to 40. According to Korea Closing Support Association, an organization that helps small companies and merchants shut down their business, it has received 914 calls this year through November, up 28 percent from the same period last year. Most of the calls came from restaurant owners, accounting for 60 percent of all cases.